At St. Brendan's we have five Middle Year Classes - Year 3/4. These classes are in open, flexible learning spaces in the Mercy Learning Centre. Teachers work and plan together, using student data to drive their teaching. Students have the use of a bank of Apple Laptops which fosters independence and learning opportunities. The 3/4 students embrace a variety of learning experiences through the curriculum. Children are encouraged to connect their learning to real life and apply their skills to different situations. Some examples of these experiences are cooking in the kitchen areas, having guest speakers and attending excursions to the local area. Children use MacBook Air laptops to access a variety of web based programs, such as, Google Documents, Languages Online (Italian) and web searches, to support their learning and develop technology skills. During Physical Education, children participate in team games, dance, athletics and skill based activities. 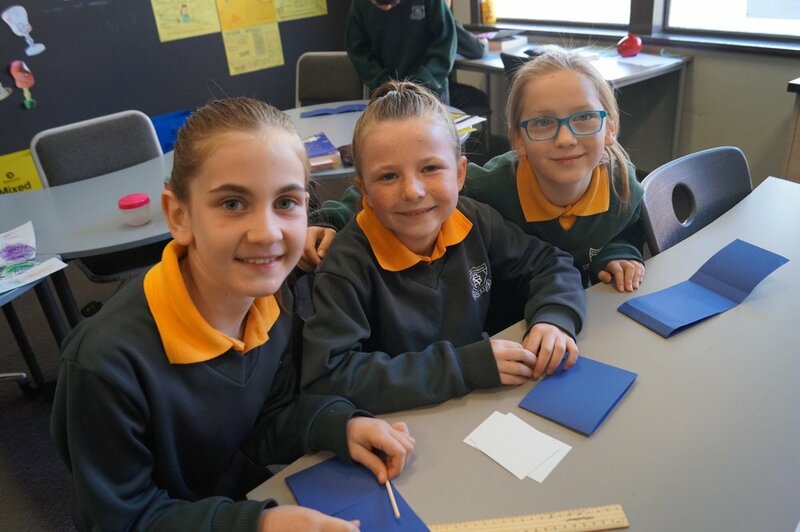 The 3/4 students are given the opportunity to further explore their team building experiences learnt in the classroom, and at school, and attend an overnight camp. At the camp students are encouraged to try new things, build on their teamwork skills and participate in all activities that the camps have to offer. The students share their positive experiences and tell stories about their time away. In the Middle Years Unit we celebrate the Sacraments of Reconciliation, Confirmation and Eucharist. Our students are encouraged to participate in the Sacraments as they continue the life journey in the footsteps of Jesus Christ. Year 3 and 4 students are also encouraged to experience altar serving for the first time. They train alongside experienced altar servers in the preparation and celebration of weekday and weekend Masses. The Middle Years Unit visits the Reedy Swamp wetlands in Shepparton. This will expand their knowledge of the local waterways, native life and other environmental factors that challenge our everyday lives. The school has an emphasis on being environmentally friendly. We promote recycling and wish to decrease the amount we contribute to landfill.